Price: 17990 - great color combo, low miles! 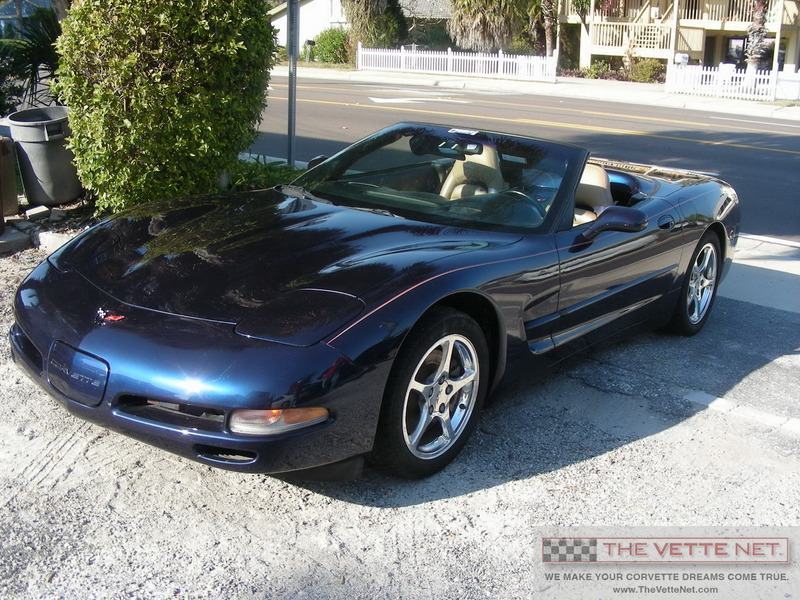 THE VETTE NET, Nationwide Corvette Brokerage Network, proud Lifetime Business Member of the National Corvette Museum is pleased to offer a very nice combination: Navy Blue Metallic Convertible with Light Oak leather interior and Beige top. In business since 1998, THE VETTE NET has established itself as the premier source for buying, selling and leasing Corvettes, with over 3000 enthusiasts assisted nationwide and all over the world. We are fellow Corvette Club members, we drive Vettes, we live the life-style, and enjoy the hobby. Our Motto is "UnderCommit - OverDeliver" and we guarantee a pleasant and straightforward experience.